Following The One Royal Night, The One Mysterious Night is the second exclusive edition for the Middle East to join the franchise, celebrating once more the combination of an Arabian soul with Italian essences. 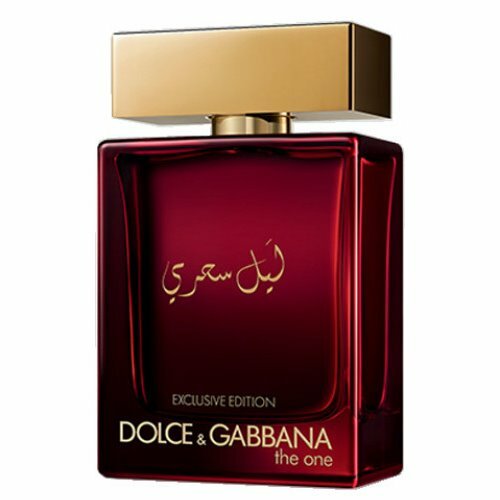 This new fragrance explores the enigmatic world of the original The One for Men, adding a touch of the vibrant and magnetic scents of this oriental land. The enigmatic side of The One Mysterious Night is echoed by the deep red and golden details added to the codes of The One for Men’s iconic bottle: the clean geometric lines, masculine proportions and sophisticated rectangular cap, here adorned with gold. The fragrance opens with vibrant, spicy notes of saffron, combined with the scent of grapefruit. At the heart, rose absolute and oud accord blend with clary sage. The base reveals the original softness and richness of The One for Men, with warm amber, precious woods, alongside refined accords of cistus labdanum and tonka bean.